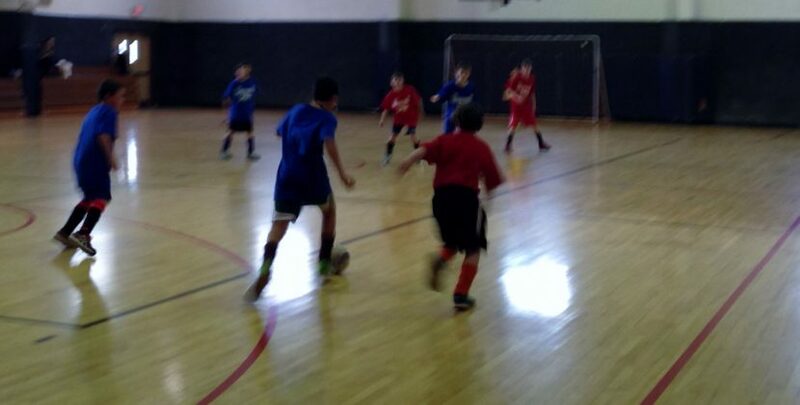 The Winter Indoor Soccer League provides a playing opportunity for interested players who wish to play between the Fall and Spring Seasons. The format is 5v5 including goalkeepers. Walls are in bounds and an official Futsal ball is used creating a fast paced continual game that helps players develop more refined ball skills. Above all, the WISL is expected to be an enjoyable, recreational soccer experience. Late registrations are not guaranteed a team placement. Get your friends together and form a team or register as an individual. All players welcome from all levels of programming. Have fun, stay active, play soccer during the winter months! Team formation, playing decisions, and most rule interpretations are to be done by the players, not a coach or referee. Coaching is strictly limited specifically to encourage players to learn from the game. In the WISL program the game itself is the teacher. The league plays a round robin competition beginning Saturday, January 5th and ending Sunday, February 17th. There are no practices during the week for WISL teams. Teams must be prepared to play on either Saturdays (all day/evening) or Sunday (afternoons/evenings). As with all SOCA programs, the option to “play up” only appears if you have selected this option in your player’s personal information within your SOCA account. The WISL program is intended for players from U8 to U19. Games are governed by Team Facilitators who monitor their teams’ matches, ensure timeliness of matches, safety and fair playing time. There is no coaching in the WISL. There are also no referees. Players are encouraged to coach and position themselves as much as possible, as well as to call their own fouls and infractions. Facilitators can intercede when necessary. All teams need Facilitators. Facilitators are adults who supervise the games and ensure the safety and enjoyment of participants. No soccer experience is necessary as coaching is not part of the Facilitator’s duties. Please volunteer to be a Facilitator for your child’s team!